In one of his last press conferences as Real Madrid coach, it was put to Julen Lopetegui that he did not look like a man in the right frame of mind to turn the team’s precarious predicament around. It was a small detail, but somehow significant. It had come after the 2-1 win over Viktoria Plzen in the Champions League, a victory that earned the Basque a stay of execution, until the Clasico clash at Barcelona five days later. Then, amid more frowns, it really was all over. A day after that 5-1 loss at Camp Nou, Madrid announced Lopetegui’s departure and named Castilla coach Santiago Solari as his replacement, albeit on a provisional basis. Lopetegui, like Rafa Benitez, is an astute tactician. However, neither of those two coaches lasted long in the job: the current Newcastle boss was in charge for a few months; Julen got just 14 games. Dani Carvajal stuck up for his former international and club boss earlier this week. “Lopetegui is the best coach I have had,” he said. Which seems to prove there is something in those Ramos remarks. At Real Madrid, other qualities are more important. “I’m not the best coach tactically,” Zinedine Zidane admitted ahead of the Champions League final against Liverpool in May. Yet the Frenchman led Los Blancos to three consecutive European Cups. Lopetegui looked like a man who knew he was going to fail. So did Benitez. Neither had been an elite footballer in their playing days; and neither seemed to transmit a particularly positive message. Zidane always did. The Frenchman was a master at cutting through tension in the press room with a smile or a witty remark. His aura, his presence and his charisma meant that when he was speaking, people wanted to listen. Solari has those same qualities. He described Keylor Navas as “a gentleman and a footballer I admire” this week, despite leaving out the Costa Rican. On Saturday, he called Isco “special” after benching the midfielder three times in a row and defended Ramos from more criticism over an elbow in the game against Viktoria Plzen, calling him “honest and valiant”. He understands the egos in the dressing room and as a former Real player who won the Champions League alongside Zidane in 2002, he has the respect of these players. And as with Zidane, it is often not so much what the Argentine is saying, but how he says it. He speaks with conviction, with confidence; he looks you in the eye; and he smiles a lot. 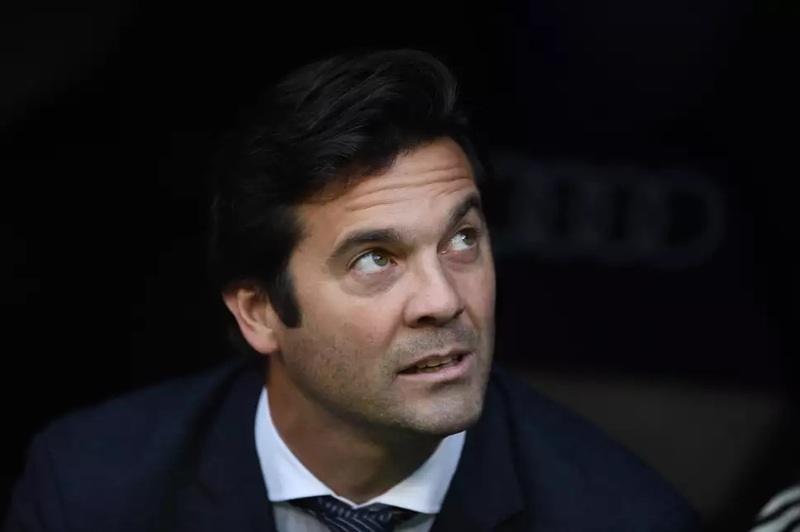 The value of the message is important at Real and even though performances can clearly improve, Solari’s positive discourse has already paid dividends with three wins out of three, 11 goals scored and none conceded – albeit against Melilla, Valladolid and Viktoria Plzen. The Czechs were thrashed 5-0 away from home on Wednesday and there was a clear gulf in class in that game, yet Lopetegui’s team had only managed a nervy 2-1 win at home against the same side last month. It was after that when he claimed his facial expressions meant little. But he was wrong, because it is all part of the communication strategy – be it with the media or with his players. And just a couple of weeks on, Real Madrid are smiling again under Santiago Solari.